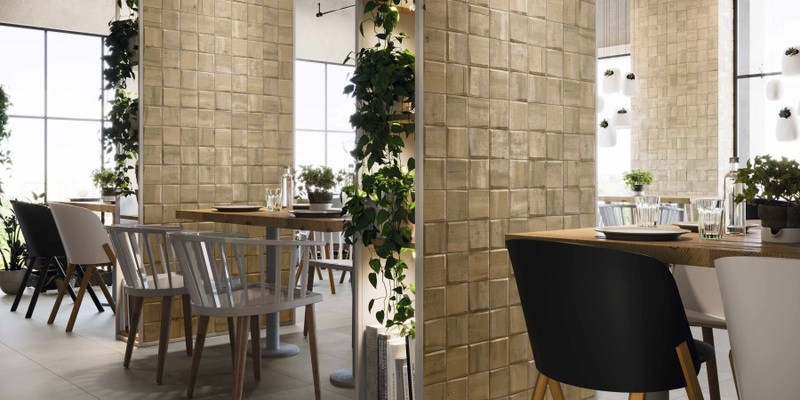 One more year, Realonda​ will be present at Cevisama 2019, showing its latest projects for new generation porcelain floor and wall tiles, where the reliefs, the variety of sizes​ and textures will play an important role, all of this showing their experience, adapting to the new technologies and without losing their inspiration for the nature and ceramic tradition. The three colours of HABITAT​ collection concrete (Gray, Graphite and Taupe) are a pleasant texture to the touch and a variety of decoration pieces. 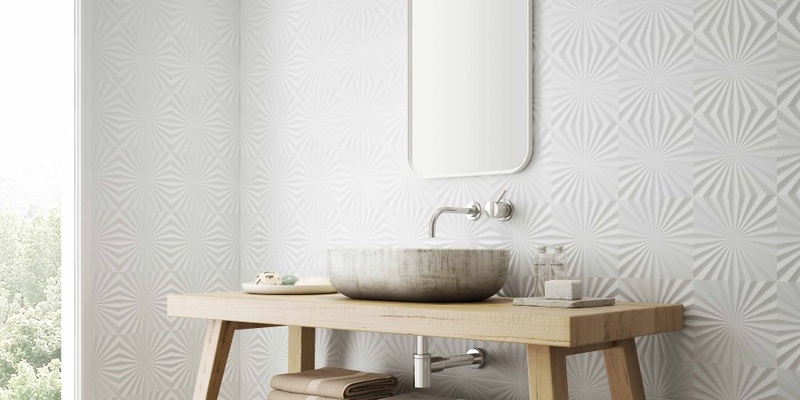 In 40x120cm the base, the relief and the graphic decoration are presented; all of them are also matching by various decorative tiles in a smaller format: the new vegetable-inspired hexagon (28.5x33cm), the volume with precut (33x33cm) and the new relief imitating small format hexagons (26.5x51cm). The STONEHENGE​ collection is an elegant stone in which subtle and fine bright veins stand out, it is available in four colours (White, Cream, Gray, Moka) and is also available in several volumes and shapes. 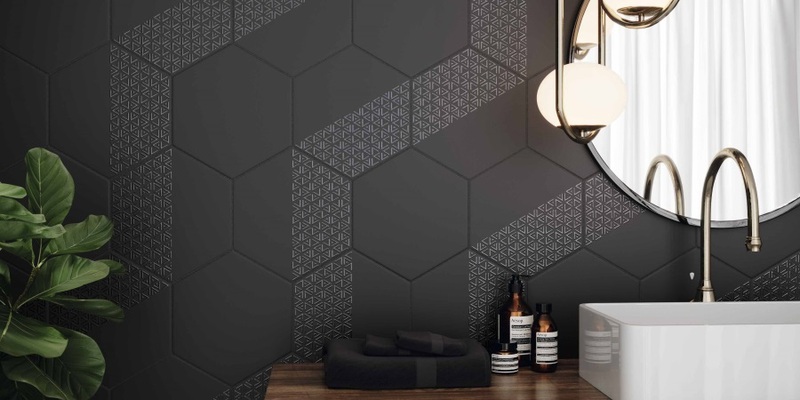 The new size 40x120cm includes the base and relief, and as decorative pieces that link the elements: the volume (33x33cm), the hexagons (26.5x51cm) and the herringbone mosaic (44x44cm). Betting on the timelessness of natural textures, Realonda presents several marble collection in porcelain 31x56cm: the MUSE​ collection, an elegant marble with bright fine veins in two tones (White, Black), includes the base, the decorations on hexagons (26.5x51cm) and the new decorated floral style with precut in 33x33cm; and the limestone of the ​MALTA collection (Sand, Taupe), highlight for its innovative digital microrelief where the tactility of the graphic stands out on the texture of the stone, with a 31x56cm base that is complemented by the new 26.5x51cm hexagons and the new three-dimensional 44x44cm relief with precut. The white marbles, with their timeless elegance, are designed to create original compositions of shapes and volumes, such as the new small size hexagons ​HEX CALACATTA (26.5x33cm) or the relief with precut BOMBATO CALACATTA (33x33cm) that are perfectly integrated with the new ​MODULAR VENATO flooring, where the aesthetics of classic marble extends into pieces of different formats (22x22cm, 22x44cm, 44x44cm and 44x66cm) combinable with each other. Extending its offer to the modular series, Realonda presents two more series betting on the naturalness of marble, ​MODULAR BARDIGLIO and ​MODULAR DARK MARBLE​, both conceived to generate warm and harmonic spaces playing with the possibilities of placement they offer. Continuing with the naturalness of the stones and combining with the classic and polyvalent brick, Realonda creates two series, EREBOR series in 44x66cm porcelain, in three tones (White, Steel and Nature) that stands out for the purity and balance of its graphics; and the RIOJA series in porcelain that integrates the tonalities of the stone with the different bright or metallic textures due to the application of last generation granules. Realonda updates its proposal of terracotta with bases and decorations of natural tones. The ANTIGUA series in 33x33cm (Terra, Graphite and Beige), the base is blended with the decoration and floral relief; and the ​DONEGAL series (hexagonal 28.5x33cm) in three colors (Black, Forest and Terracotta) where the base is completed with a geometric decoration. In addition Realonda presents other series highlight for their reliefs and their small format: the new and volumetric OPTIC​ Series 44x44cm, with precut that imitating 22x22cm and the new MARRAKECH ​geometric arabesque (44x44cm) also with precut, with classic and geometric designs and in various colors. On the other hand, going back to the natural wood textures are presented: the volumes of 33x33cm ​PATTERN WOOD and the new ​DIAMOND SUOMI​, 40x70cm porcelain, in two natural colors (Oak and Ash) creating chevrons from irregular slats. The new ​HEX small hexagons (26.5x51cm) range is completed with the bold and colorful tones of the Aquamarine and Zellige; and with the elegant ​HEX WHITE that will be as the basis for the ​HEX NOUVEAU series in green and blue colors, where the contrasts of colors with floral graphics will create vibrant and colorful environments. 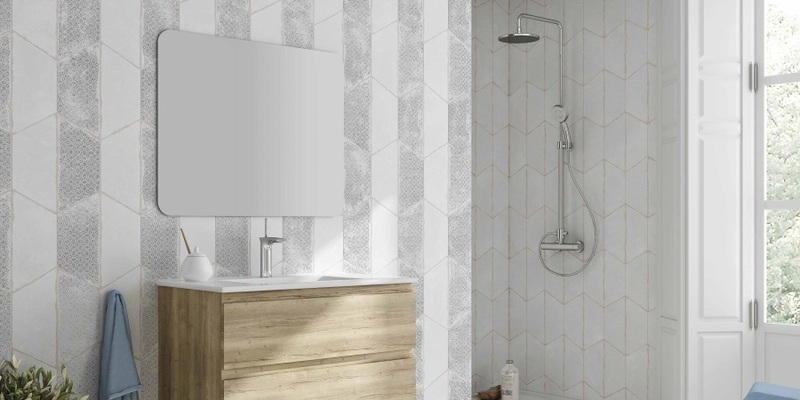 Also combining striking graphics with colored bases, the ​OCCITANE series is presented in 33x33cm and the arabesque ​AMAN for 31x56cm for wall and 45x45cm with precut for flooring, both in porcelain. 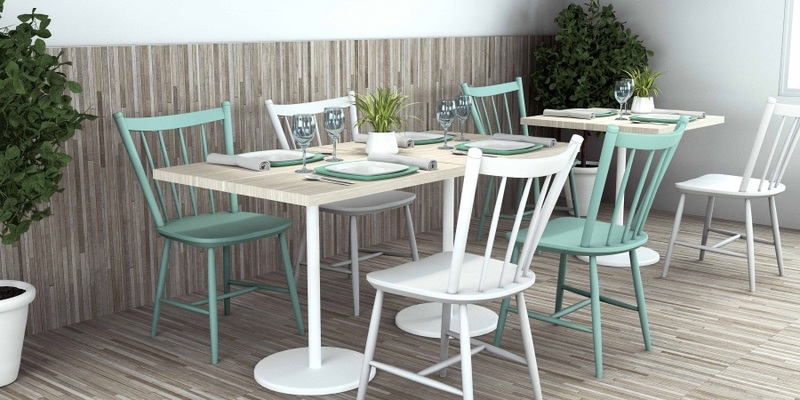 In the hexagonal format, with the new relief IVY​ (28.5x33cm) of floral inspiration can create different environments due to the variety of finishes: natural for its wood texture (Oak, Walnut), unique and daring for the new reactive enamels (Mist and Teal) or simple and elegant with the monochrome White and Black. The ​TRAPEZ is another new shape for which Realonda bets, based on the hexagon format (28.5x33cm), its geometry allows creating original and fun compositions with natural wood finishes or graphics that remember the traditional hydraulic tiles; without forgetting the matt-gloss contrasts, thanks to the innovative application of bright granules, from ​OPAL DECO.